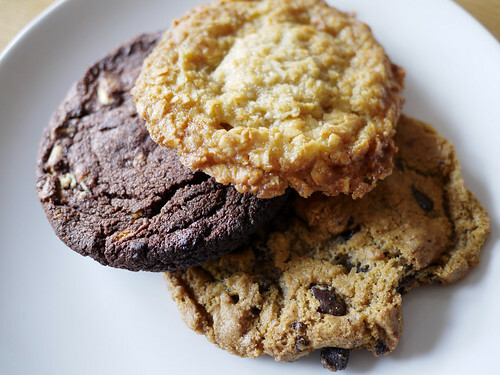 I really could not decide between chocolate, chocolate chip or coconut so I pretended that I was buying them all for an afternoon gouter and espresso with some friends out of town coming by for a visit. The truth was that I wanted to try them all. In order of preference: coconut, chocolate and chocolate chip.